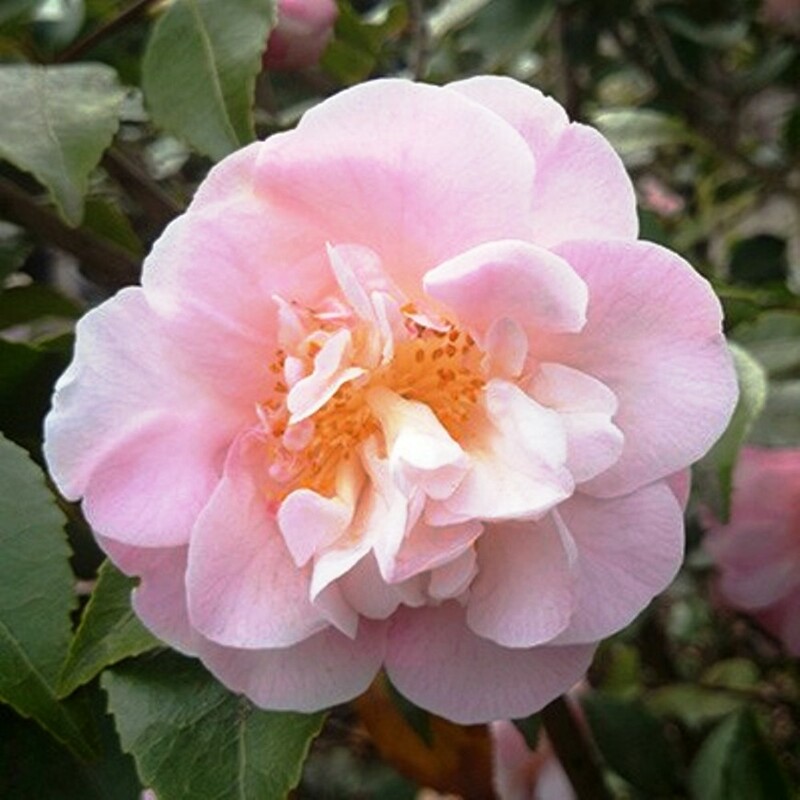 ‘High Fragrance’ is one of the most desirable cultivated hybrids of camellia. The beautiful, semi-double pale pink flowers are wonderfully scented, as the name suggests, especially on the first day they open. Appearing in late winter to early spring, they have a cluster of yellow stamens hidden in the luscious petals. Be sure to cut some of camellia ‘High Fragrance’ blooms to enjoy the scent inside. Evergreen foliage is glossy green with a decidedly upright habit reaching up to eight-feet tall. Grow in filtered, partial sun for best flower production, but protect from sun in the late afternoon, which can cause scorching on the leaves. Soil should be very well-drained, rich in organic matter and more acidic in pH. Use camellia ‘High Fragrance’ as a container or landscape specimen in a high visibility location where the fragrance can be enjoyed. With proper care, occasional fertilization and good drainage, it should suffer few pest or disease problems. This camellia will be a treasure in the landscape for years to come.